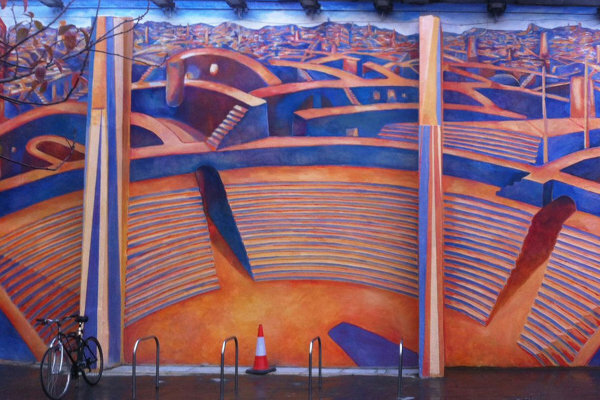 Vibrant orange walls and rings of blue people holding hands together in a mural now greet commuters and pedestrians in Lewisham, south London thanks to a generous donation of paint from Brewers stores in Peckham and Lewisham. 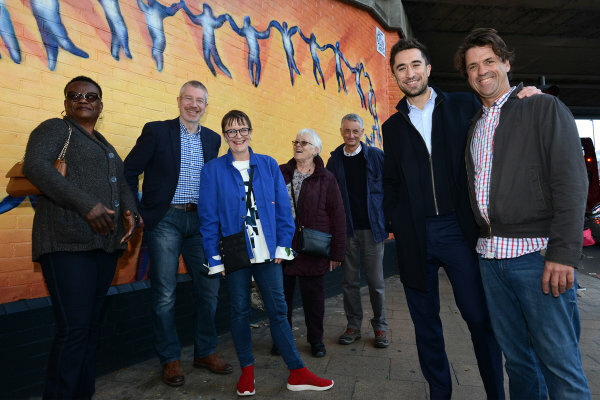 When new Mayor of Lewisham Council, Damien Egan, decided the area needed brightening up, he approached local artist Patricio Forrester from Artmongers studio to create something to bring the community together. Patricio came up with the brilliant idea of painting rings of people on the walls of a railway bridge by Lewisham station to represent Lewisham Council’s logo of a crown. He created an impressive mural and included a large sign thanking Brewers for the support. New school build, adorned with fun murals! Officially 'opened' by Damien Egan, Mayor of Lewisham, Patricio Forrester's mural The People's Crown is now a shining jewel in busy Lewisham. 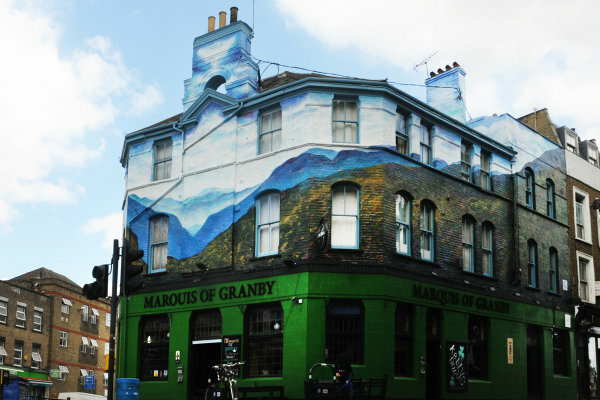 Artmongers' other works include these two impressive murals in Deptford and New Cross.